The cardiac axis refers to the general direction in which the heart depolarises. Each wave of depolarisation begins at the Sinoatrial node, then spreads to the Atrioventricular node, before travelling to the Bundle of HIS and the Purkinje fibres to complete an electrical cardiac cycle. When viewing the heart from the front, imagine a clock face. In the case of a normal cardiac conduction pathway, the wave of electrical activity travels from 11 o’clock to 5 o’clock. A pathology that affects the conduction pathway of the heart will therefore affect the way the wave of depolarisation causes the heart to contract. 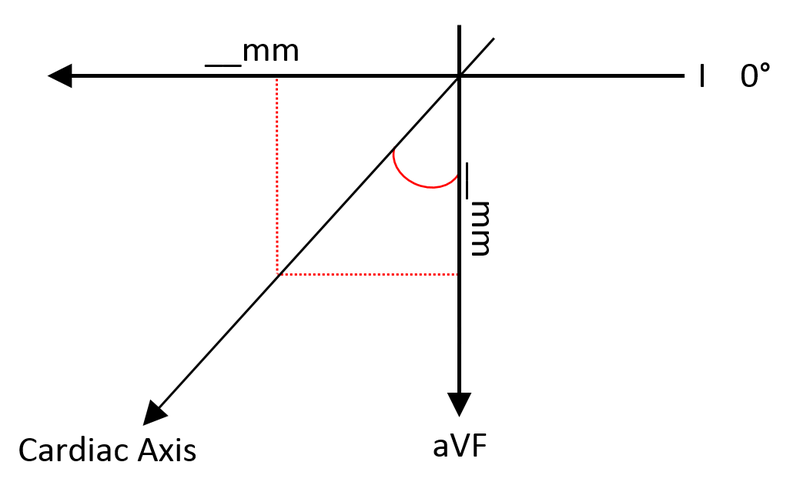 With regards to the hexaxial reference system, the RAD and LAD denote Right and Left Axis Deviation, respectively. Can be a normal finding in very tall patients. 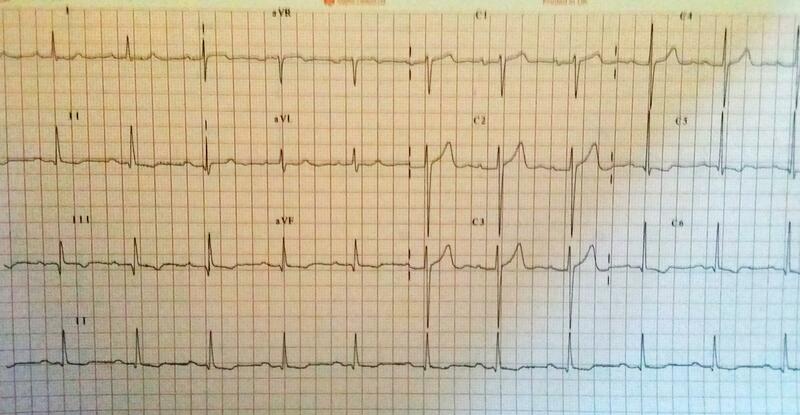 Usually due to conduction abnormalities, as oppose to increased LV mass. 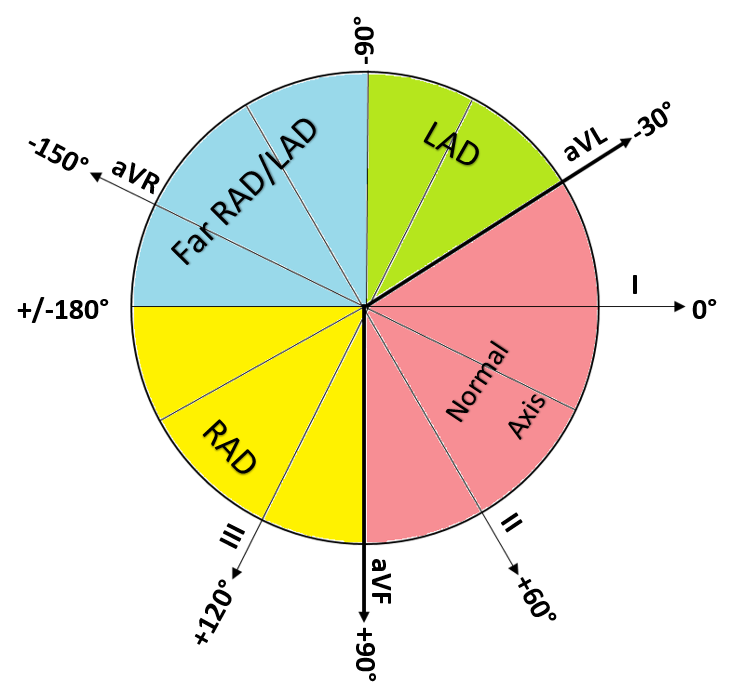 There are a number of ways (of varying accuracy) via which to calculate a cardiac axis using an ECG and the hexaxial reference system, pictured below. 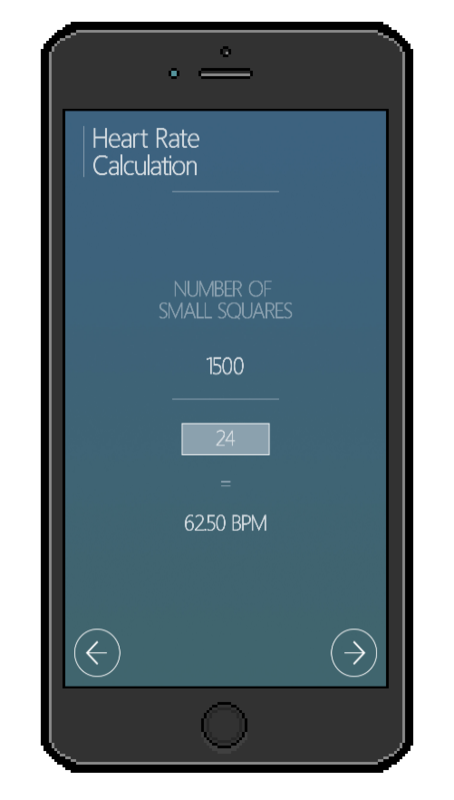 Determine the direction of the axis line by via the lead trace on the ECG. 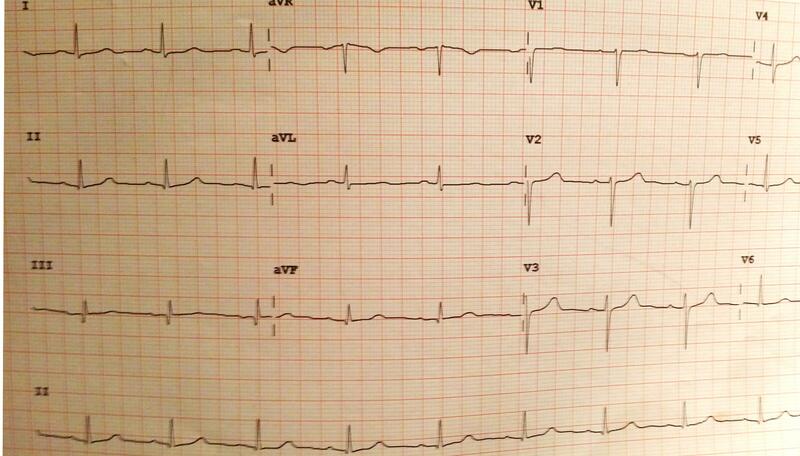 Looking at the ECG pictured, we can see that aVL is the most isoelectric lead. This method isn’t commonly used, clinically, but it’s a method regardless. Plus, you never know if you’ll need it. Use the first two methods to test the third one!